R-Value is always leading the way with innovative ideas to make spraying foam and restoration a faster and safer process. Our patent pending RVC shows the commitment that R-Value Foam has made to making our industry more efficient and friendly to the environment. Further proof of our commitment is illustrated by our outstanding safety record. R-Value Foam has partnered with the leading chemist and manufactures to provide the most cost efficient foam for the pipeline market. We routinely perform spray tests and work to ensure we are providing our clients with the best product available. R-Value Foam has recently been certified in the Health and Safety Training for the American Chemistry Council. This rigorous multi-step testing and certification process insures R-Value Foam personnel have the needed expertise to properly apply and safely use foam and other products in compliance federal requirements and regulations. R-Value is a member of SPFA and a member-vendor of ISNetworld. This gives R-Value Foam clients the ability to measure key performance metrics while promoting transparency, clear communication and sustainable operations. We are committed to performance, safety and industry excellence. R-Value is always leading the way with innovative new ideas to make spraying foam or restoration a faster and safer process. Our patent pending RVC shows the commitment that R-Value has made to furthering the objective of making our industry more efficient and friendly to the environment. Further proof of our commitment is illustrated by our perfect safety record. Call us now to put our expertise to work for you. R-Value Foam has partnered with the leading chemist and manufactures to provide the most cost efficient foam for the pipeline market. R-Value Foam has recently been certified in the Health and Safety Training for the American Chemistry Council. This rigorous multi-step testing and certification process insures R-Value personnel have the needed expertise to properly apply and safely use foam and other products in compliance with both current and anticipated future federal requirements and regulations. R-Value is a now a member of SPFA and a member vendor of ISNetworld. This gives R-Value clients the ability to measure key performance metrics while promoting transparency, clear communication and sustainable operations. R-Value offers a wide variety of custom foam formulas to deal with the most challenging applications in any climate, and any terrain. We have the experience to formulate the right foam to get the job done on time and in budget. Contact us to discuss your unique requirements. R-Value foam formulas allow us to provide effective solutions that increase yield by up to 33%, with commensurate savings on raw materials for our customers. 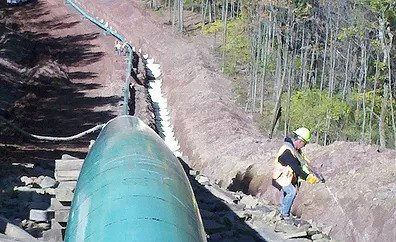 R-Value foam formulations provide important cathodic protection to help insure the safety and extend the useful life of the pipeline. 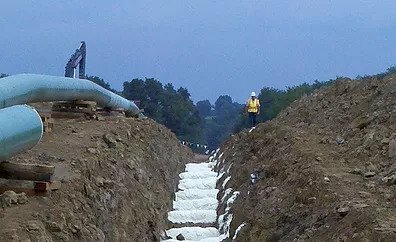 This protection is insured by using a foam formula for specific water absorption to permit a small amount of electric current to pass through the pipeline. 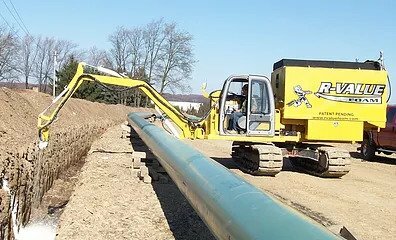 This electric current is instrumental and effective in prohibiting pipeline corrosion. Copyright© 2018 R-Value Foam, Designed by RVWS LLC.